I am onto my third Iphone 4. I am not proud to admit this, I am simply stating facts. 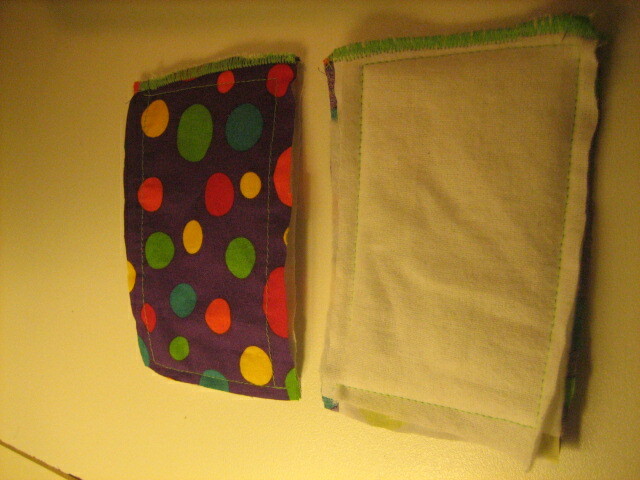 I lost the first one to water damage in my handbag (as I always carry a water bottle in my handbag) and the second one to the toilet, thanks to my little girl (not many home-made covers would have saved that one). Needless to say, I am very protective of my third phone as I’m not keen on replacing it again to more water damage. So, I made this little sleeping bag to protect it when it’s floating around in my dapper day bag. I have put together a little tutorial, so that anyone wanting to make one of these for themselves, can quite easily do so. 1. Cut out your fabric and iron. 2. 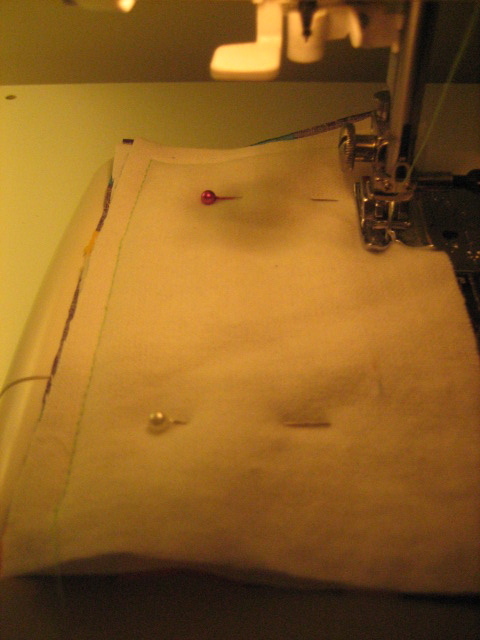 Pin your layers together and sew a long stitch around the edges to secure the side layers together. 3. 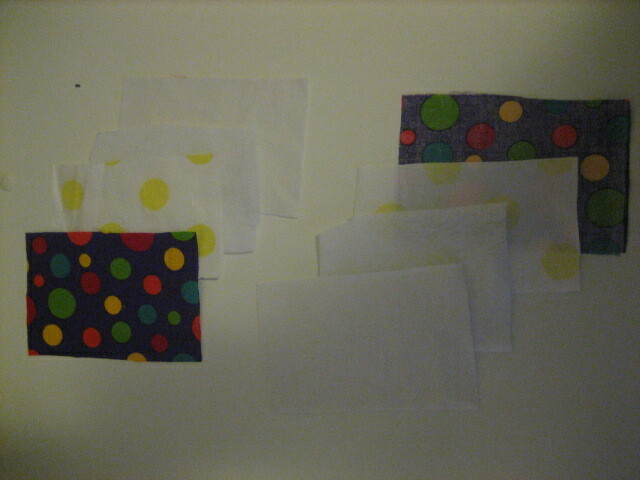 At this stage, I trimmed the edges with scissors, this is important so that you can neatly zig zag the edges. 4. Zig zag the tope ends separately. 5. Pin your two pieces together, making sure that the outer fabric is on the outside (duh) and zig zag all the way around the edges with a fairly wide zig zag stitch. 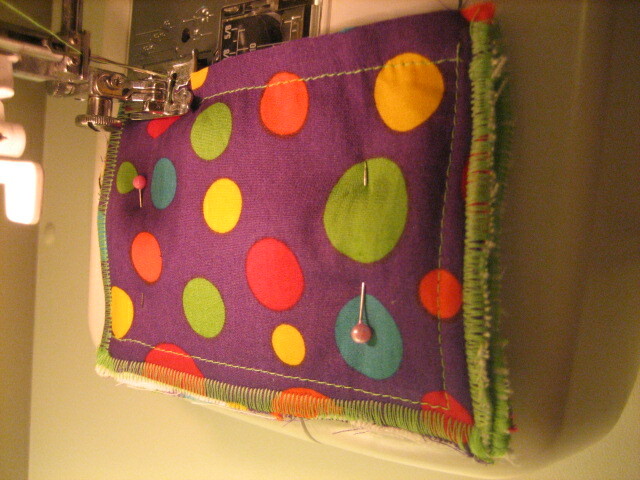 I went over it twice to make the stitch look thicker. All done. How easy was that?? It’s not perfect, but it serves its purpose. Have you taken extra measures to ensure your treasured items are safe? 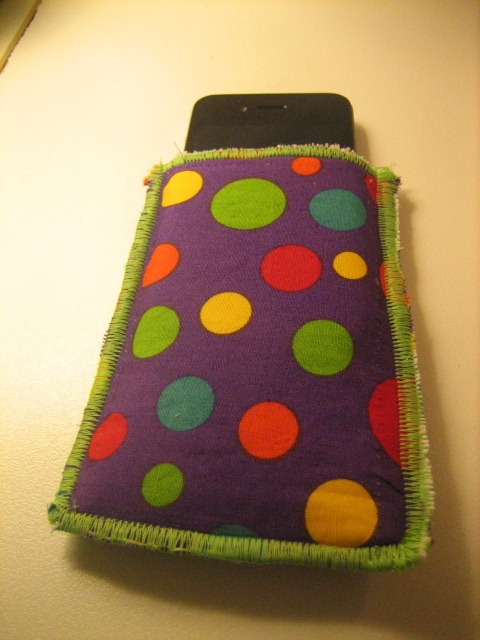 This entry was posted in Sewing Tutorials and tagged sewing machine, water proofing by sewandbakeandlove. Bookmark the permalink. Paul dove straight into a pool with his iPhone a couple of days ago – don’t think this would have helped him much either, but great for the handbag! Oh no – that’s annoying! Did he swear?